In 1889, Constance Black (1861-1946) married Richard Garnett's son, the writer and literary editor Edward Garnett (1868-1937). A remarkable scholar, Constance began learning Russian out of her interest in Bolshevism. 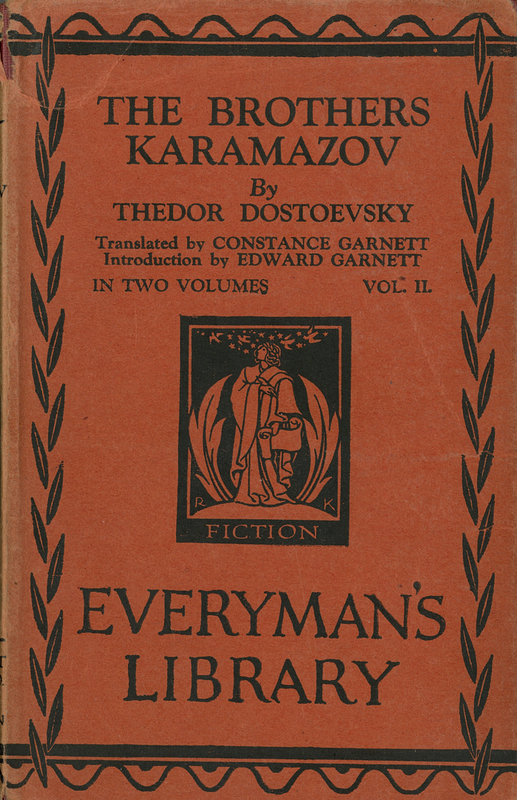 In 1892, after the birth of her son, David, she devoted her time to Russian translation. In 1894, she travelled to Moscow to meet with Leo Tolstoy. She was among the first to introduce the writings of Tolstoy, Dostoyevsky, and Chekov to an Anglophone audience. Her translations of 71 volumes of Russian literary works are still read and used as models for translations. Fyodor Dostoyevsky (Translated by Constance Garnett), “The Brothers Karamazov. Volume II,” ourheritage.ac.nz | OUR Heritage, accessed April 26, 2019, http://ourheritage.ac.nz/items/show/10217.